Christmas is the best time of the year when everything sparkles and ornaments decorate the Christmas tree to make the house feel festive. Crochet is our favorite hobby and Christmas is the best time of year to make handmade ornaments. 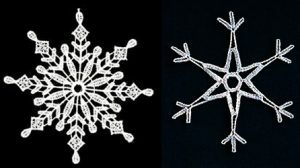 Here are some cute Christmas ornaments you can crochet, just in time for the holidays. They are quick, easy and you can whip a bunch of them up in no time at all. Make a dozen and give some away to friends, coworkers and family! 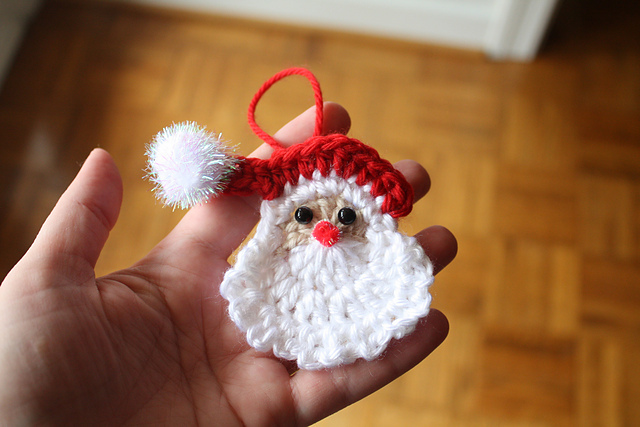 This Santa face crochet Christmas ornament is just the cutest thing ever. Debra Yorston made the original pattern and you can also add it to your Raverly stash. You need Red Heart yarn, a 1-1/2 diameter plastic ring and an I crochet hook to make this Santa ornament. Amigurumi Santa Claus Ornament is a free pattern from Toma Creations. It’s a quick and easy project that will decorate your Christmas Tree or hang them from a doorknob or draw pull. Santa doesn’t have to just hang around the tree. These cute Santa hangers are great for gift tags, tree ornaments, as decorations around the house, and for doorknob hangers! 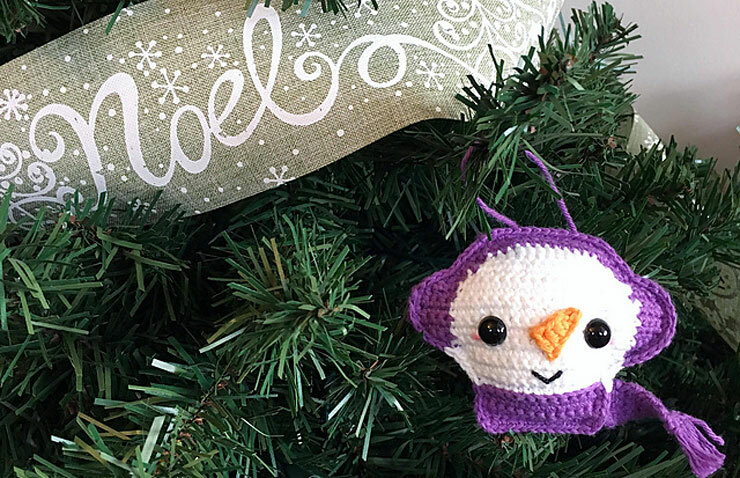 How cute is this crocheted snowman ornament with purple earmuffs? This hand-crafted snowman ornament from Spin a Yarn crochet, is wearing his earmuffs and scarf to keep out the winter chill. Customize him endlessly by switching up the colors of his accessories to match any decor! There are crochet reindeer to make using chunky yarn; a Santa face that lights up when you turn it on; an elf decked out with a white scarf; and even a Google-eye Santa that is inexpensive to make and very cute. With all of these fun crochet patterns you’re sure to find one or two you can whip up in no time.